In western Pennsylvania Oil wells are usually less than 1000 feet deep. Medina (conventional) gas wells are about 5000 feet deep. Newer Marcellus and Utica gas wells may reach a depth of 6000 feet vertically and have multiple legs of an additional 5000 feet or more. A properly plugged well requires that the gas, oil and coal strata be isolated from one another and from the fresh water aquifers. To accomplish this, the well casing must be removed and the well bore cleaned. The bottom of the well is then filled with a non-porous material. In crucial portions of the well (such as gas and oil formations, coal seams and fresh water aquifers) a cement plug is needed to seal off those zones from each other. Aggregate material is placed between the plugs. This process is expensive. 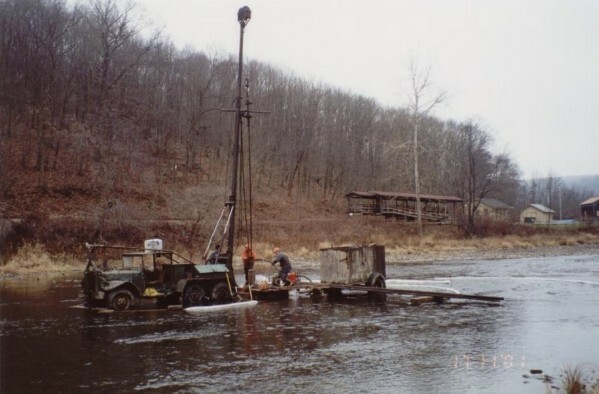 The cost depends on the depth of well, its location and any problems associated with the well bore. Cost can range from 2000 to 20 thousand dollars for a shallow well and estimates are 100 thousand dollars or more for a shale gas well. The following photos are from two shallow plugging operations. 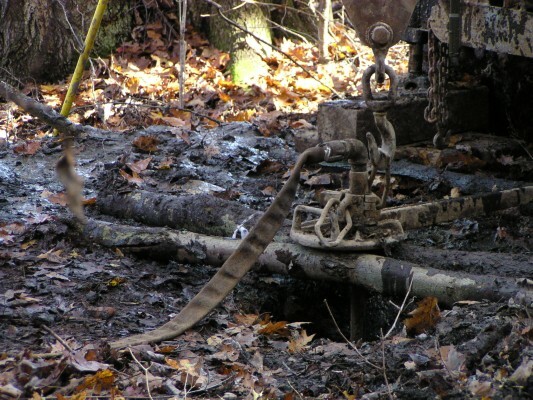 The law says that if a well is inactive for one year the owner/operator is required to plug the well. So in theory the well owner is responsible for plugging the well when it is no longer productive. In reality most wells end up as abandoned or orphan wells. From an environmental perspective,the boom and bust cycle of the oil industry typically results in something like the following. During the boom period oil prices are high and many wells are drilled. As these wells come online supply outpaces demand. Wells begin to lose their productivity, they are sold off to smaller companies with fewer resources who work on a lower profit margin. As the cycle continues toward bust oil prices drop and the wells are owned by companies with few assets. At this stage unproductive wells are abandoned. The well owners have so few resources that even if the state wants to it can't force the owner to plug the wells. In the end the abandoned wells eventually become orphaned making it the state's (read that as the taxpayers') responsibility to plug the wells. Part of the problem is that drilling laws require such a small bond be paid during the permitting process (Boom Stage) that owners are willing to just forfeit the bond during the Bust Stage. Large companies who want to stay on the good side of DEP do plug abandoned wells. But they a rare breed. For more than 150 wells - $430,000 plus $10,000/well not to exceed $600,000"
for wells less than 6000 feet that's $35,000 for 50 wells = $700 per well with the actual cost of plugging being $2000 - $20,000 per well. for wells deeper than 6000 feet that's $140,000 for 25 wells = $5600 per well with the actual cost of plugging being $50,000 - $100,000 or more. Good business economics dictate that the least expensive path is to just walk away from the bond. In effect the state is making it more profitable for the well owner to abandon the well. 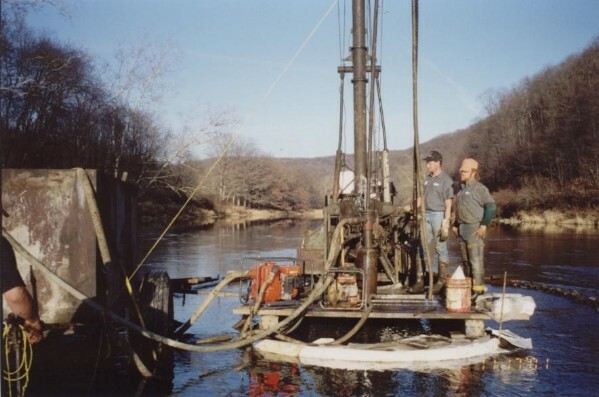 Will the Marcellus and Utica shale plays result in future abandoned wells? 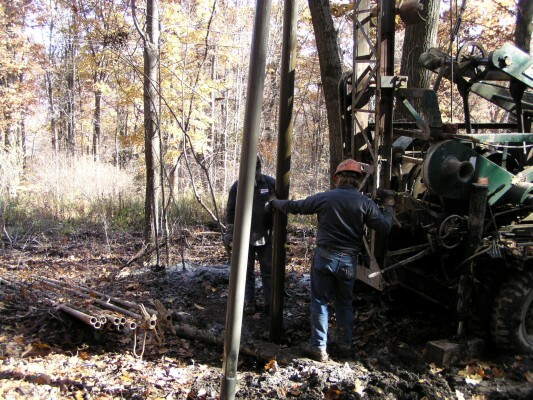 Abandoned Unconventional Natural Gas Wells: A Looming Problem for Pennsylvania? The following information can be found on the internet from Anderson Environmental. "In various regions throughout the United States, including Southern California, oil exploration was prevalent in the previous century, as well as today. Although existing oil wells are essentially the responsibility of the oil companies, some oil fields have long been abandoned by oil exploration companies, along with their history. In such cases developers and/or owners of said properties may be faced with uncertainties and adverse property conditions due to improper abandonment by the oil company based on current abandonment standards. Such adverse conditions may thwart development, create a hazardous situation, and ultimately adversely affect the monetary worth of the property." Prior to modern plugging methods Pennsylvania allowed (required) wells to be plugged by forcing a tapored piece of wood into the well bore to plug the well.This process is locally known as the "brush plugging" method.1918 law describing how oil wells should be plugged. This explains why we find so many collapsed wells today.